The closing credits of The Secret Life of Walter Mitty inspired some immediate soul searching. Why didn’t I hate this movie? With generalized themes of empowerment strategically layered with soaring music, it has all the trappings of a shallow, follow-your-dreams retirement fund commercial that airs during the Super Bowl. And yet, director Ben Stiller supplies enough visual style and unabashed earnestness to make his new adaptation of James Thurber’s classic story a surprising success. 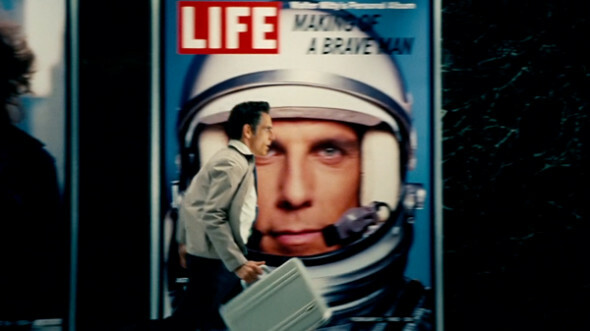 Stiller also takes the lead role as the legendary daydreamer. This Walter Mitty works in the photo department of Life magazine and secretly pines for co-worker Cheryl (Kristen Wiig) For years, Walter has handled the submissions from prized photographer Sean O’Connell (Sean Penn), but as layoffs mount and the last issue of Life draws near, the image that O’Connell has earmarked for the final cover goes missing. Leaving his mundane schedule behind, Walter embarks on an around-the-world search for the elusive photographer and the lost photo. Through the terrain of Afghanistan to the wilds of Iceland and beyond, Walter follows O’Connell’s trail, racking up incredible life experiences with each new day. Setting a film about seizing the fullness of life inside the waning days of Life magazine sounds obvious and cheesy, right? Right, and left to its own devices, Steve Conrad’s script would keep the film comfortably in that neighborhood. Credit Stiller for the vision to see the bigger picture. On the surface, it might seem more natural for Stiller, who brought a wonderful edge to Zoolander and Tropic Thunder, to return to the satirical tone of Thurber’s original story. Instead, he fully embraces the larger than life quality of this treatment, filling the screen with glorious on-location sequences and truly sublime visuals. Stiller the actor follows suit with a restrained lead performance. The antics of Danny Kaye’s 1947 film version are long gone, as Stiller’s Walter is a true introvert learning to embrace change. Wiig also dials it down, replacing her trademark quirkiness with a quiet sweetness while Penn, in what amounts to little more than a cameo, has some subtle fun with his rogue persona. Yes, Walter Mitty stages a calculated assault on your feel good bone, but with tactics this good-natured and timely, it doesn’t hurt a bit.